Aug. 3, 2018, 9:30 a.m.
By Laura Hazard Owen @laurahazardowen Aug. 3, 2018, 9:30 a.m. The New York Times has a new notification for you: Open its iOS app and, in the upper right-hand corner of the home screen, you’ll see a new icon right next to the Times logo. 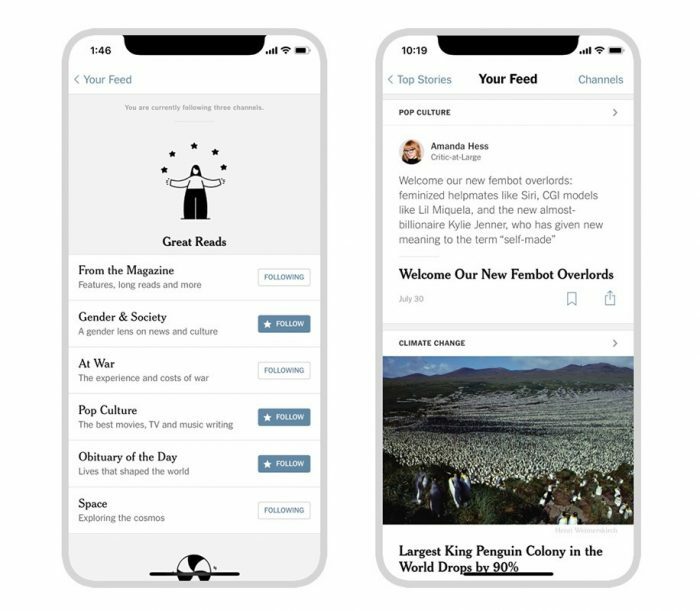 That’s “Your Feed,” a major new feature that the Times rolled out to all iOS app users this week and officially announced on Friday. The Times publishes around 160 articles a day, and most of those will never be on the homepage of the app or in the section fronts. 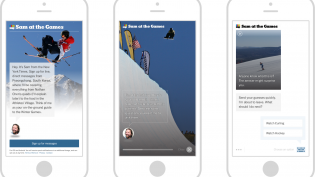 “Your Feed” is designed to help readers follow content they might miss otherwise. They can select from 24 channels to follow — some organized around section or topic (“From the Magazine,” “Gender & Society,” “The Mueller Investigation,” “Books of the Week”), others based on specific columnists (Nicholas Kristoff, Farhad Manjoo’s State of the Art column). The feed also contains exclusive, tweet-length content from Times newsroom staffers and columnists, using a bot to pull that stuff straight from the Times’ Slack channel. 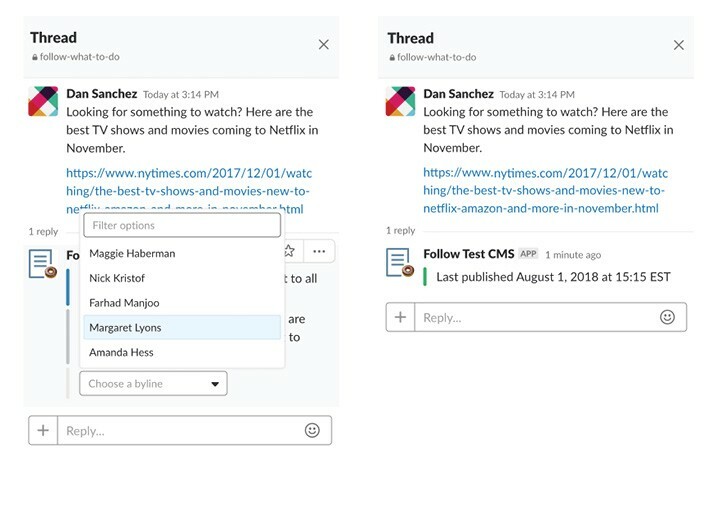 (The fact that this Slack thing is just a tidbit in a story about a much larger feature provides another reminder, if you needed one, of how far ahead of almost all other newspapers the Times is in everything from app development to user research to developer resources.) Outbound links to non-Times stories will occasionally be included as well. It became clear that the ability to follow New York Times content was a promising opportunity to serve unmet user needs. Of all the hypothetical features we tested, Follow proved to have the fewest number of workarounds, while also solving for several different user needs at once. It was the biggest hole our team could fill in our product. POSTED Aug. 3, 2018, 9:30 a.m.
Owen, Laura Hazard. "With “Your Feed,” The New York Times lets iOS users follow topics and journalists (in a non-overwhelming way)." Nieman Journalism Lab. 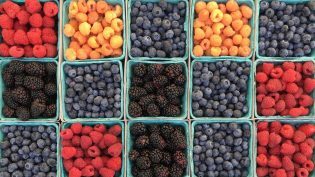 Nieman Foundation for Journalism at Harvard, 3 Aug. 2018. Web. 24 Apr. 2019. Owen, Laura Hazard. "With “Your Feed,” The New York Times lets iOS users follow topics and journalists (in a non-overwhelming way)." Nieman Journalism Lab. Last modified August 3, 2018. Accessed April 24, 2019. https://www.niemanlab.org/2018/08/with-your-feed-the-new-york-times-lets-ios-users-follow-topics-and-journalists-in-a-non-overwhelming-way/.